Good old-fashioned iron and steel helped make Detroit the powerhouse of 20th Century industrial America. 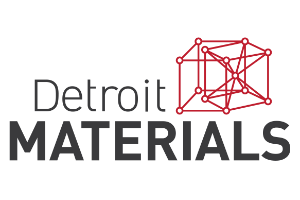 A startup called Detroit Materials is hoping to lead a renaissance for these hardworking metals, backed by technology from Wayne State University. The company finalized a licensing agreement with WSU in June, allowing it to commercialize a kind of high-strength, low-alloy steel and cast iron developed at the university. The technology has possible uses in automotive, defense, and mining. Detroit Materials hopes to open a manufacturing facility in Detroit within the next year, but for now, it’s testing the materials in automotive drivetrain and wear-resistance pilot projects, both for undisclosed customers. The company is comprised of CEO Pedro Guillen and chief technical officer Nick Moroz. In the past few years, Guillen says, a new way to design steel has emerged that doesn’t rely on alloying materials to make them stronger or more flexible. Instead, as WSU chemical engineering professor Susil Putatunda discovered, the chemical process can be tweaked and re-engineered through austempering, a heat treatment process, according to what the customer wants. “We can go back, find out the specs, and fine-tune the chemistry and process in order to create the desired material. That’s not being done by any other company in the U.S.,” he says. Moroz adds that the pair became interested in licensing WSU’s advanced materials technology because of the steel’s ability to withstand fracturing and its high level of impact resistance. “It lends itself well to military armor, mining operations, and automotive applications,” he says, adding that Detroit Materials’ products are cheaper traditional exotic materials. Guillen’s background is in technical consulting and commercialization. He’s a serial entrepreneur who spent part of his career working with Ford on product management, and he’s also worked on developing military vehicles. Moroz’s background is in material science and mechanical engineering with “a lot of focus on metallurgy.” He invented a thermal spray product for lithium-ion battery electrodes and solar cells while at the University of Michigan, which was spun off into CSquared Innovations. The original research by WSU’s Putatunda was funded by the National Science Foundation and the New Economy Initiative’s Technology Development Incubator Program. Guillen served as the entrepreneur-in-residence at the Detroit Technology Exchange before founding the company in September 2013, thanks to $250,000 from Detroit Innovate, an early-stage investment fund under the Invest Detroit umbrella. This steel processing sounds like it should be a closely held trade secret. It could help Michigan immensely! Don’t disclose too much in patent apps. I have definitely made that mistake and now China has taken over my formerly very good market.